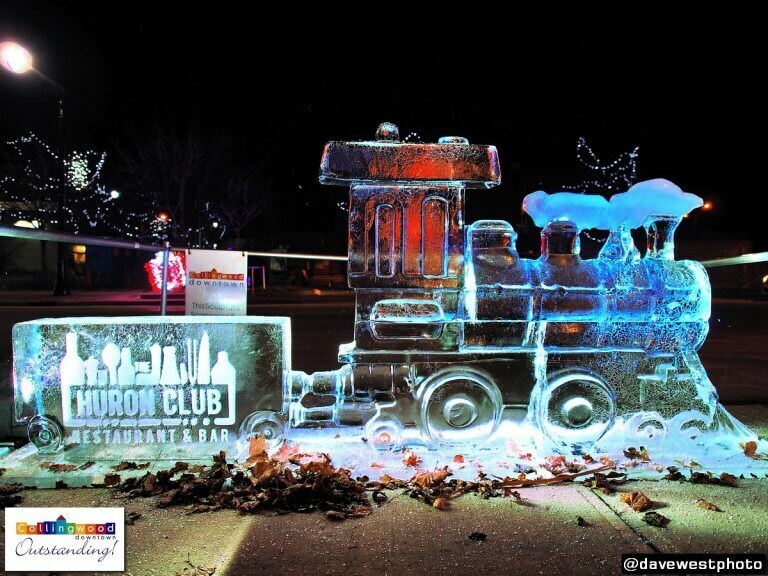 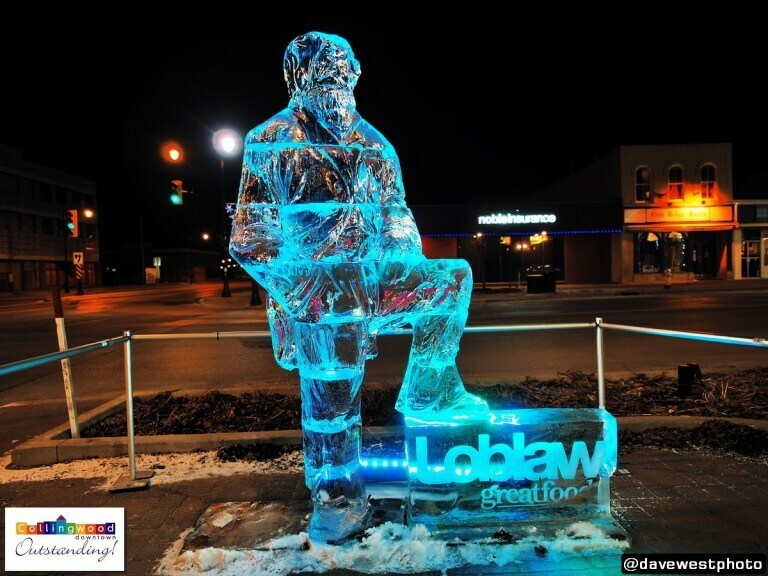 Be prepared to be wowed with spectacular lit-up storytelling ice sculptures that capture sports through the ages. 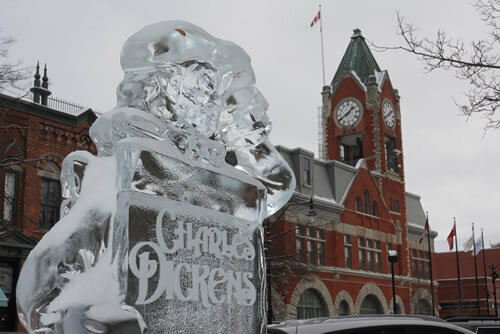 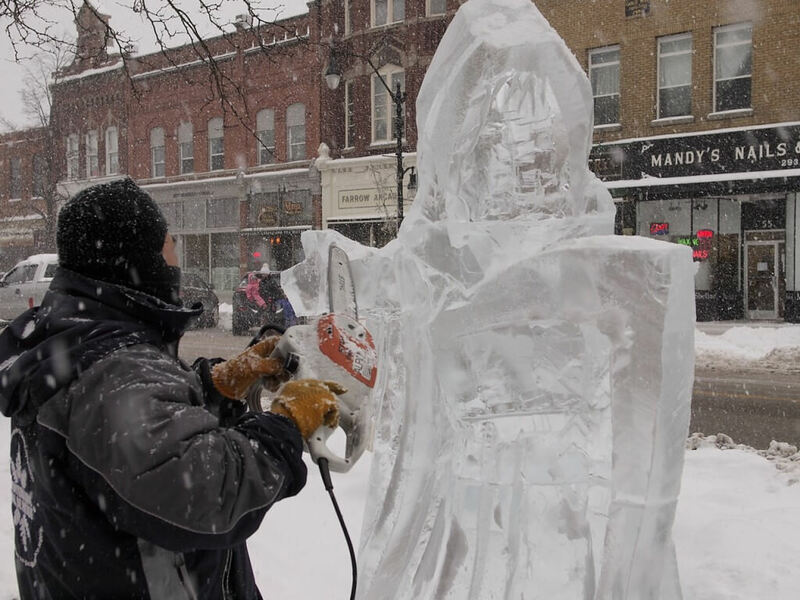 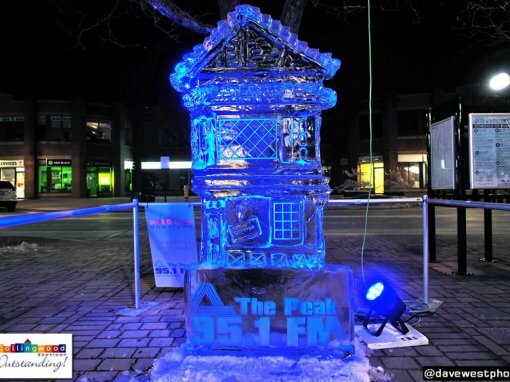 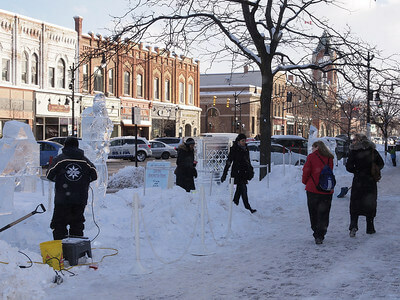 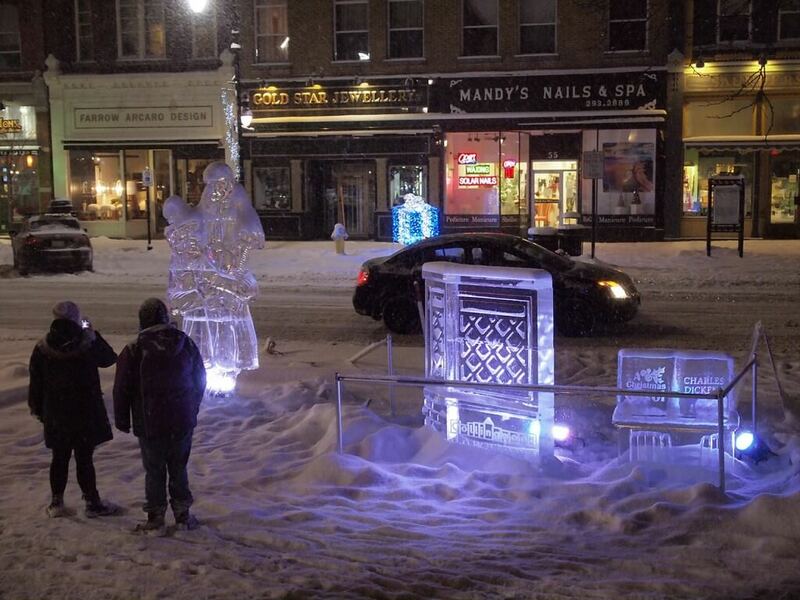 Explore more than 25 ice sculptures throughout downtown Collingwood with this map. 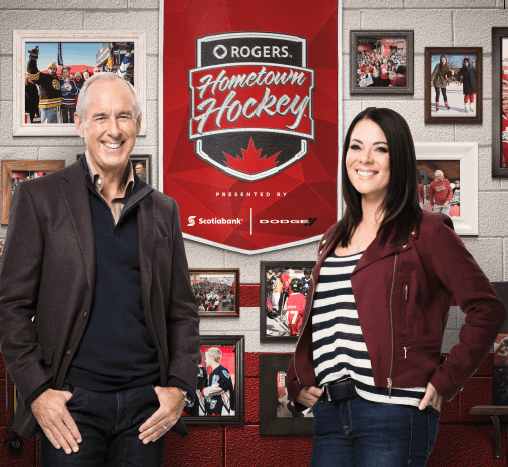 Join Ron MacLean and Tara Slone live from the Hurontario Street Sportsnet mobile studio on Sunday December 30th for their live Sportsnet broadcast starting at 7:00 p.m. 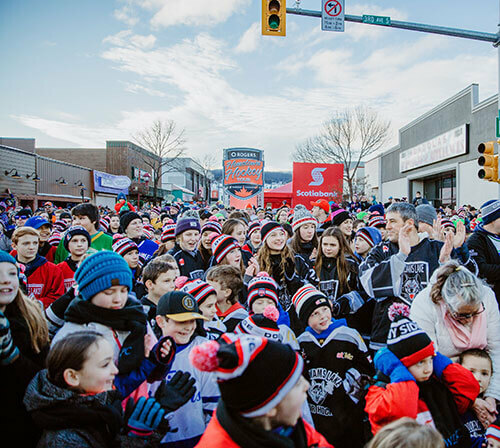 Cheer on the Parade of Champions celebrating local sports and hockey heroes. 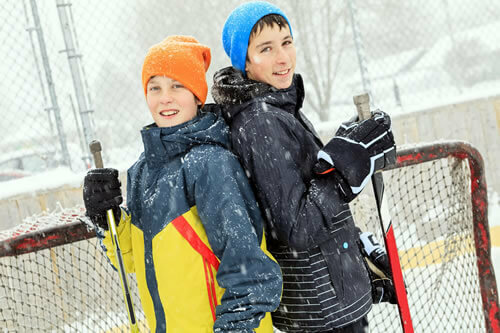 Listen to Ron and Tara share stories that celebrate the hockey history and culture that put Collingwood on Canada’s hockey map. 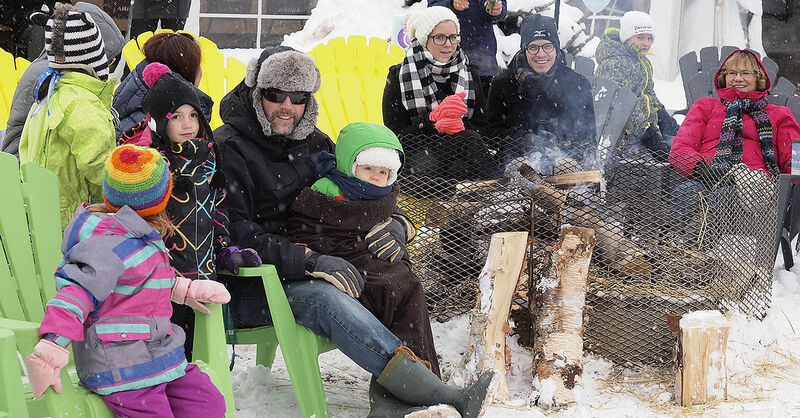 Then, stick around to catch the outdoor viewing party as the Vegas Golden Knights take on the Arizona Coyotes. 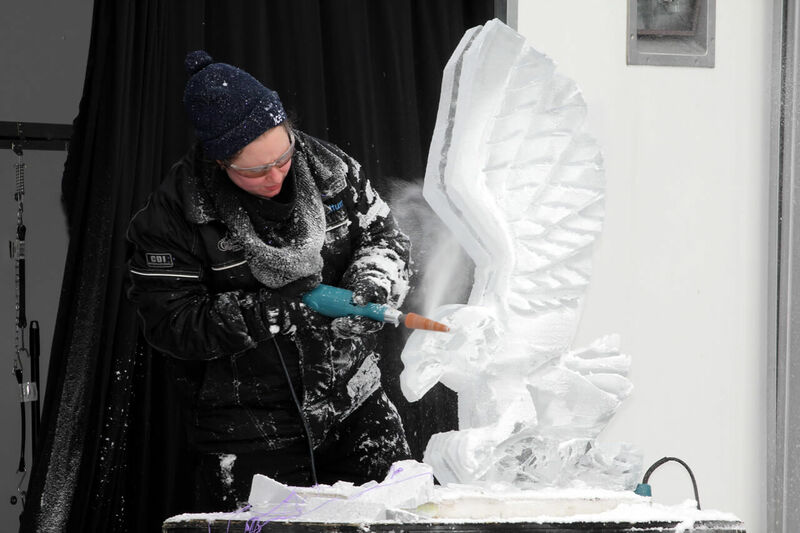 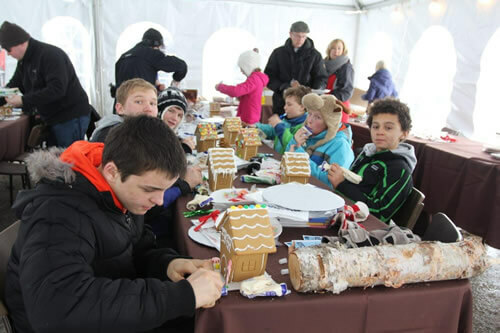 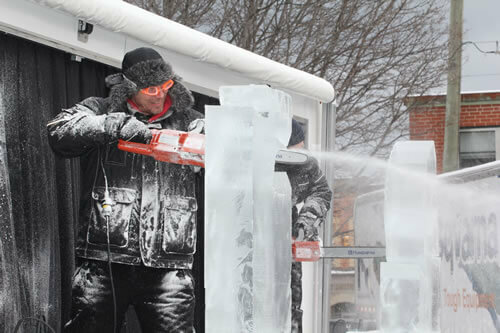 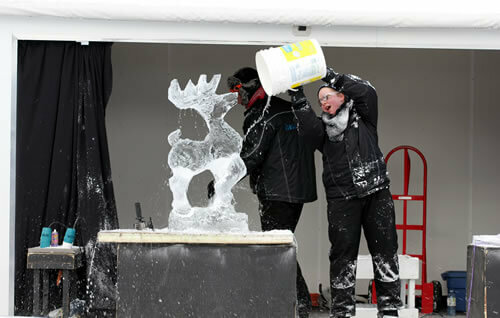 You can cheer on world renowned ice carvers as they go head to head battling it out using their formidable carving skills to win the crowd’s approval. 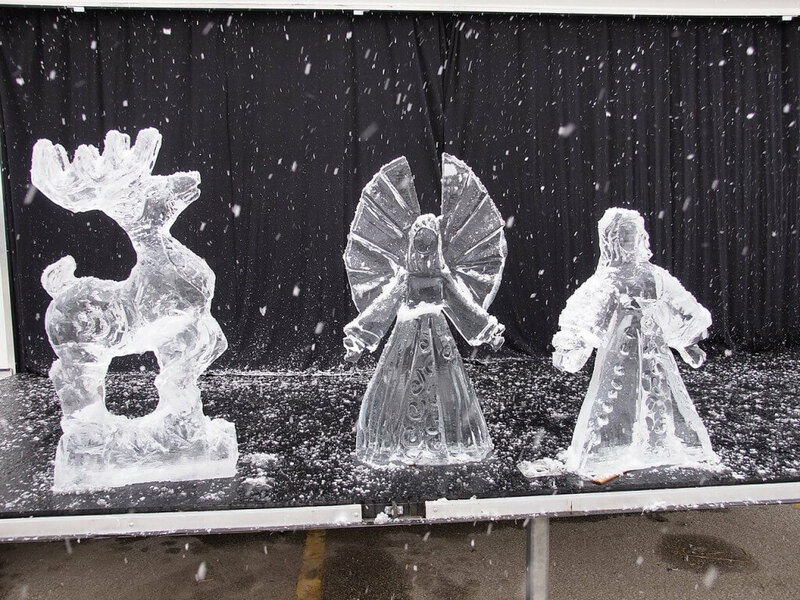 The showdown happens at noon on December 29 and 1:00pm on December 30. 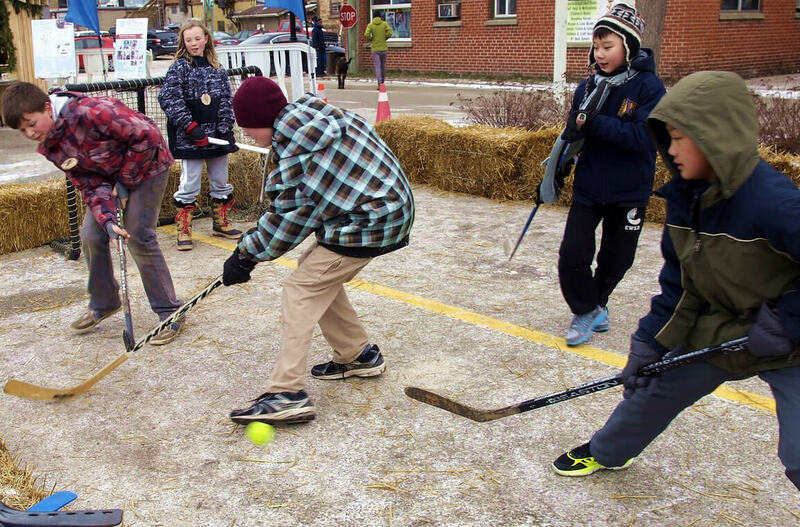 Take to the ice and enjoy a free skate session with family and friends at the Eddie Bush Memorial Arena in downtown Collingwood. 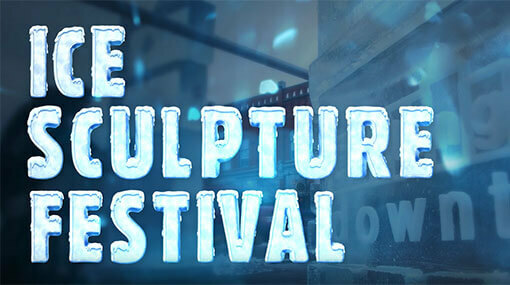 See the schedule for details. 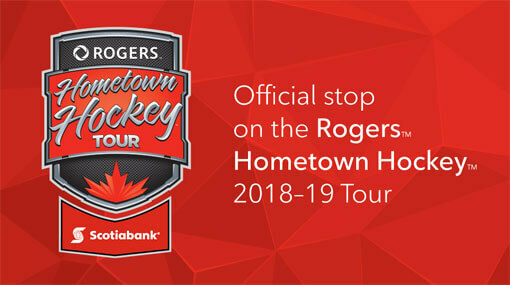 Come watch sledge hockey players take on some local celebrities! 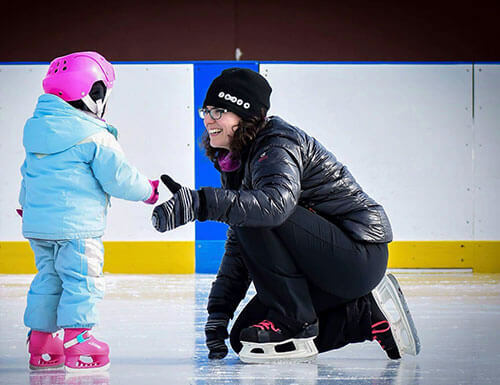 Enjoy the free public skate at Eddie Bush Memorial Arena before taking in the game at 7:00 p.m. 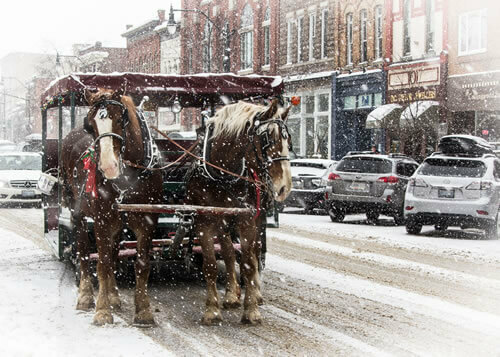 Wagon rides depart regularly from Second St. and Pine St. near the new bus Terminal. 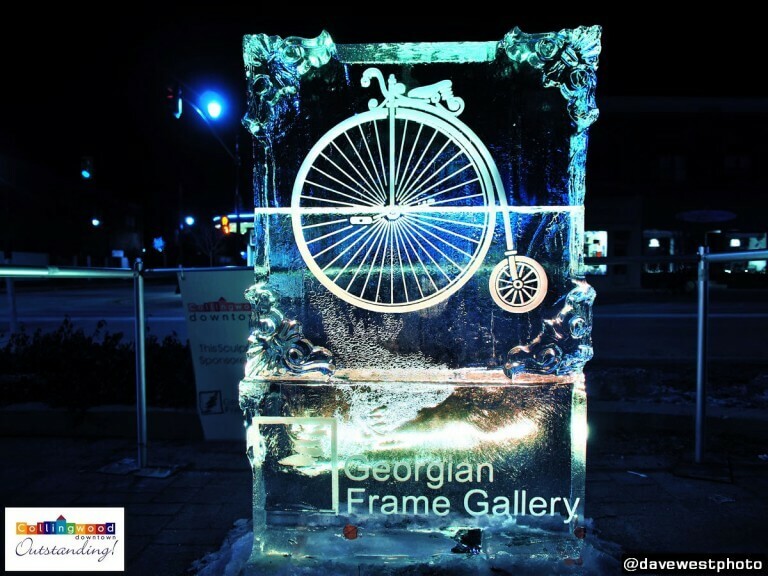 Climb aboard and enjoy the ride. 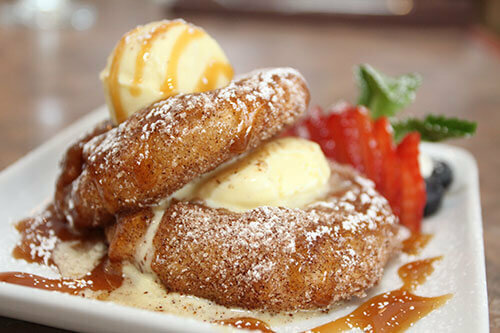 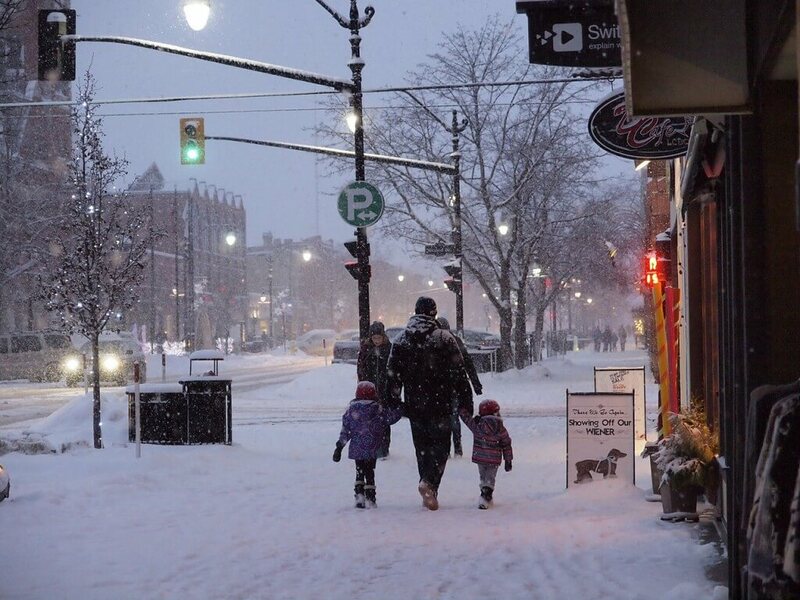 Check out the delicious specials and featured menu items in downtown Collingwood’s cafés, bistro’s, restaurants, takeout and gourmet specialty shops. 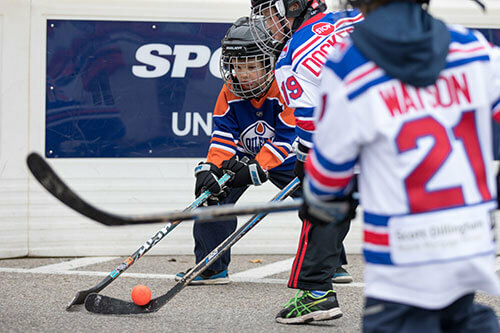 Two full days of exciting scheduled and public play on the ball hockey rink. 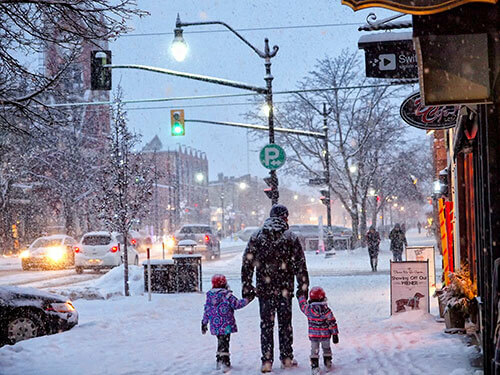 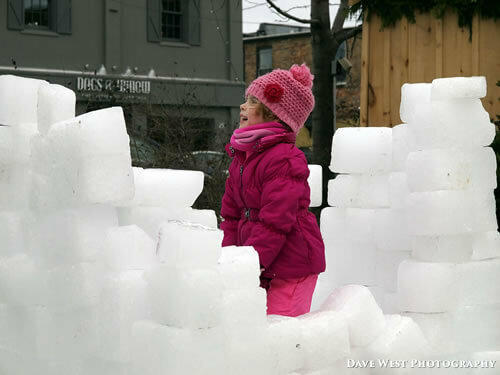 Stroll the downtown stores to view the ‘Winter Play’ photo contest winners.